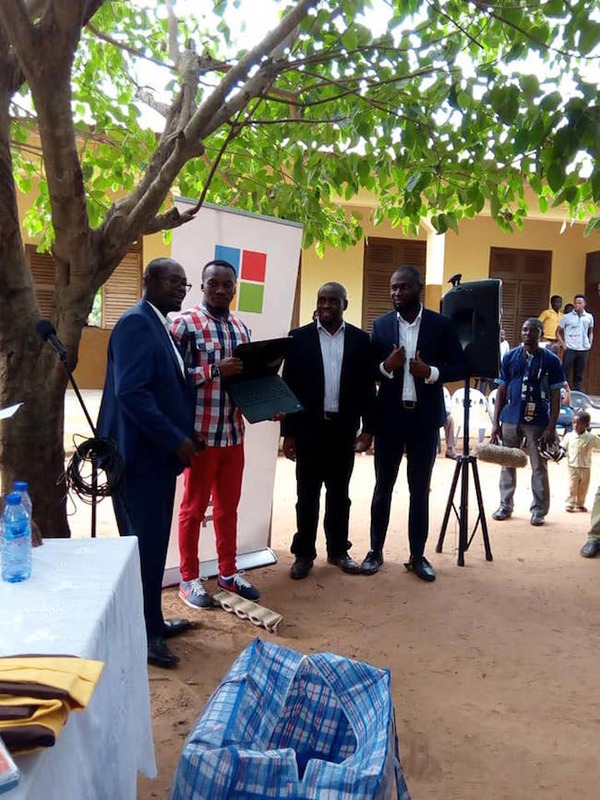 Computer giant Microsoft has donated dozens of computers to the school in Ghana where an IT teacher won worldwide praise after improvising with chalk-drawn sketches to bring to life his lessons on Microsoft Word. 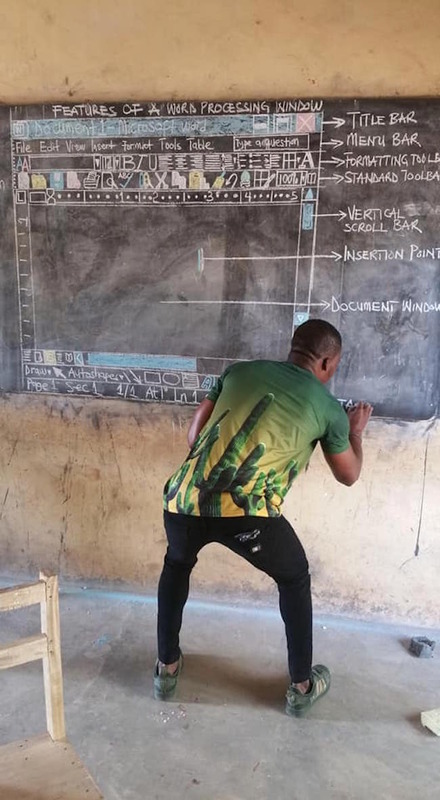 Richard Akoto (Owura Kwadwo Hottish) had no computer to demonstrate Microsoft Word to his students, so he drew it on the chalkboard. 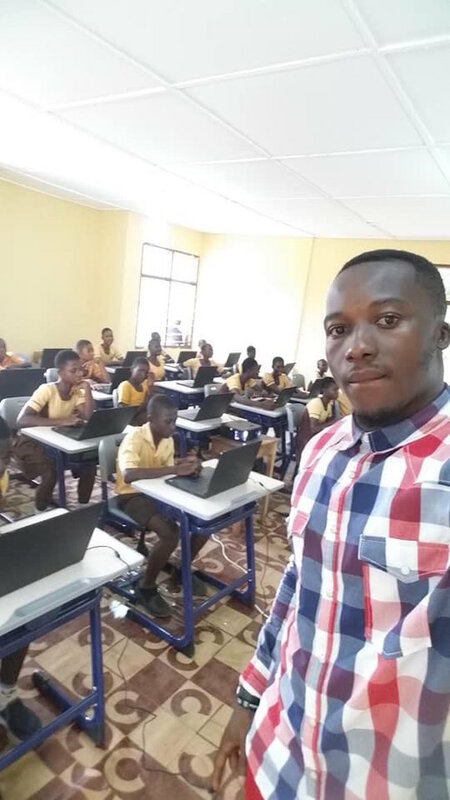 The tech giant had pledged to equip him after his pictures went viral. 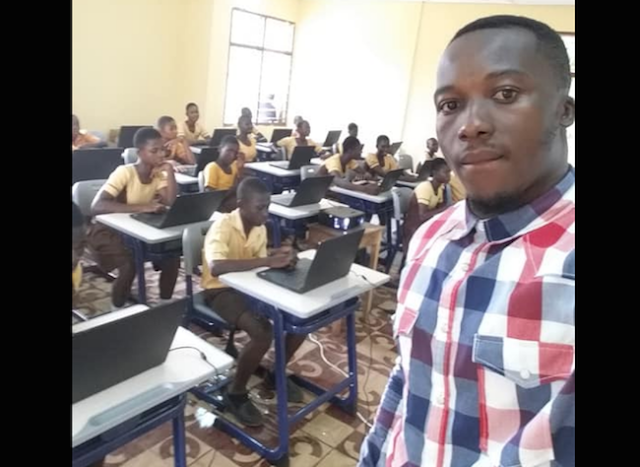 Mr Akoto, 33, was also hosted at Microsoft’s 2018 Global Education Exchange Summit (E2) in Singapore making him a MIE. 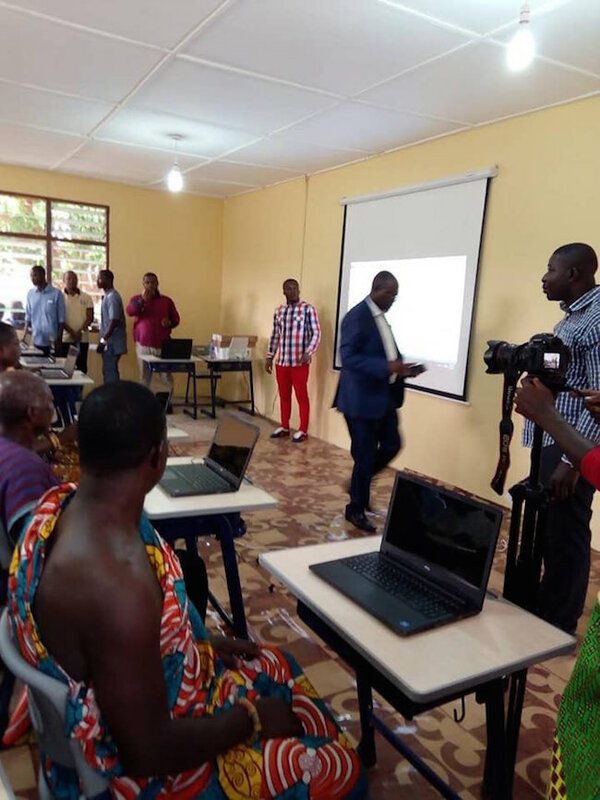 Microsoft has now donated technological resources, including 27 laptops, to equip a computer lab at Betenase Junior High School, located in Sekyedumase, Ashanti Region, Ghana. 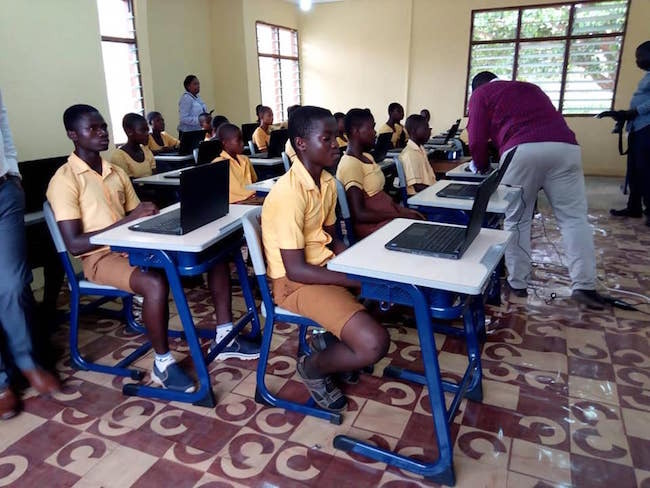 In collaboration with eSolutions Consulting – a local Education partner in Ghana, he computer lab donation includes devices for students and lab teacher, furniture – tables and chairs, school uniforms, mathematical sets, device security storage units, 1-year free 3G connectivity, a projector, screen, UPS back up and routers. All devices will also be provided with Office Professional Plus software. 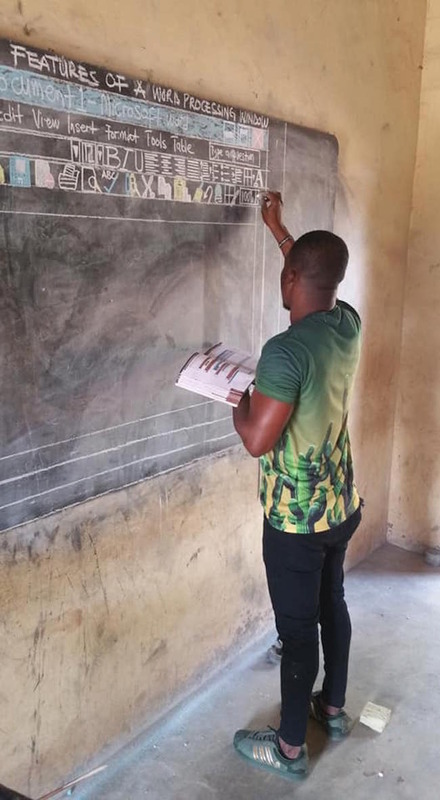 “As a technology brand that is on a mission to empower every person and every organization on the planet to achieve more – Microsoft believes that enablement must start at grassroots level – by way of education. It is the teachers and the work they do through their lessons, that allow for this to happen effectively. 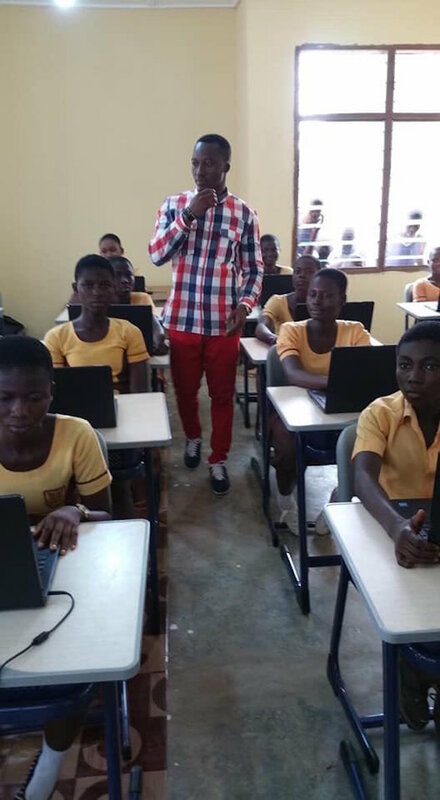 “We are extremely impressed by the work educators all over the continent are doing. – As economies like Ghana become increasingly digital, technical thinking and understanding technology becomes of supreme importance. 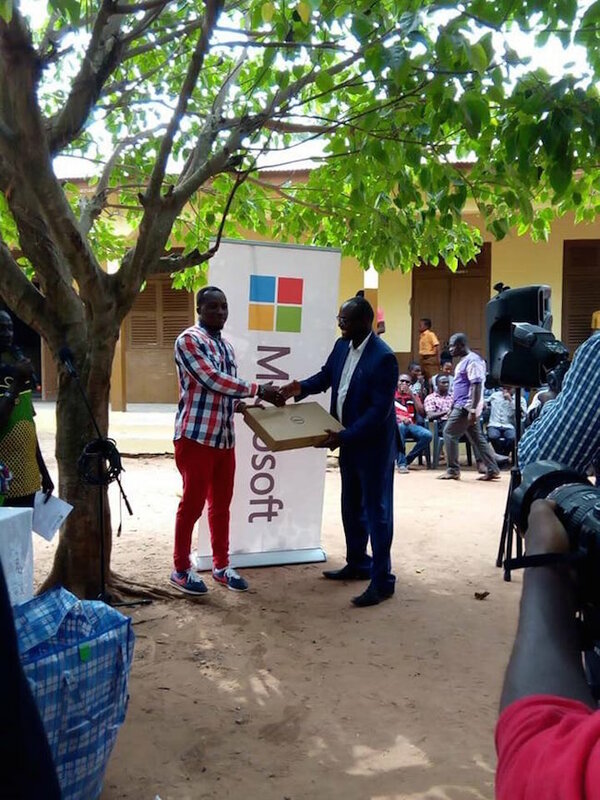 Around the world, a key part of Microsoft’s work is concentrated on empowering educators to create environments in and out of the classroom that guide and nurture student passion and enable students to achieve beyond their wildest imagination – making, designing, inventing, building the future,” Warren La Fleur, Education Lead for West East and Central Africa at Microsoft said. 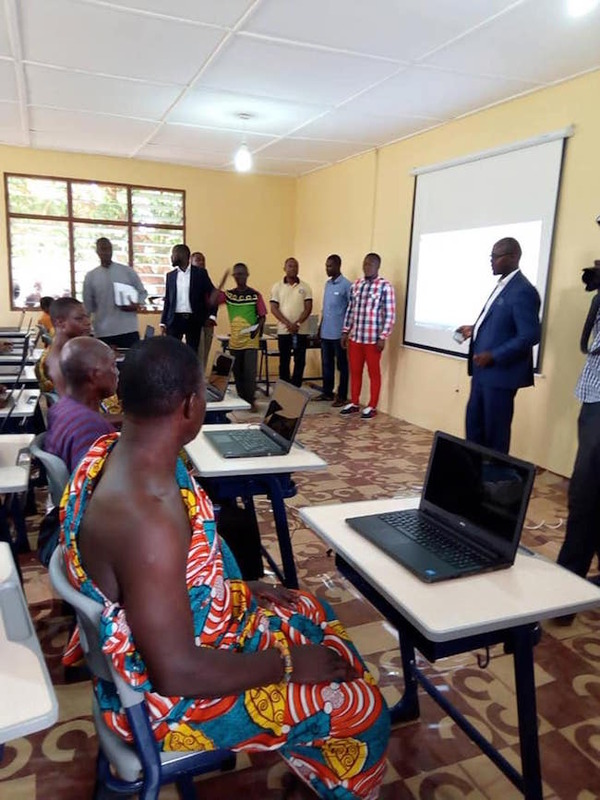 Teachers not only in Bentase Junior High School but across Ghana will gain access to the Microsoft Certified Educator Program (MCE) for professional development, so that they can nurture their passion for teaching and build rich, custom learning experiences for students. This blog is managed by Nigerian twin bloggers Clifford and Stanford. We cover daily breaking news on entertainment, politics, crime and other issues in and outside Nigeria. Kindly follow us on Facebook, Twitter and Instagram to benefit fully from us. To get our self-help e-books, please visit our shop!